Paxton House Caravan Park, located in the historic walled garden, offers an idyllic site with 15 spacious pitches with electric hookups. 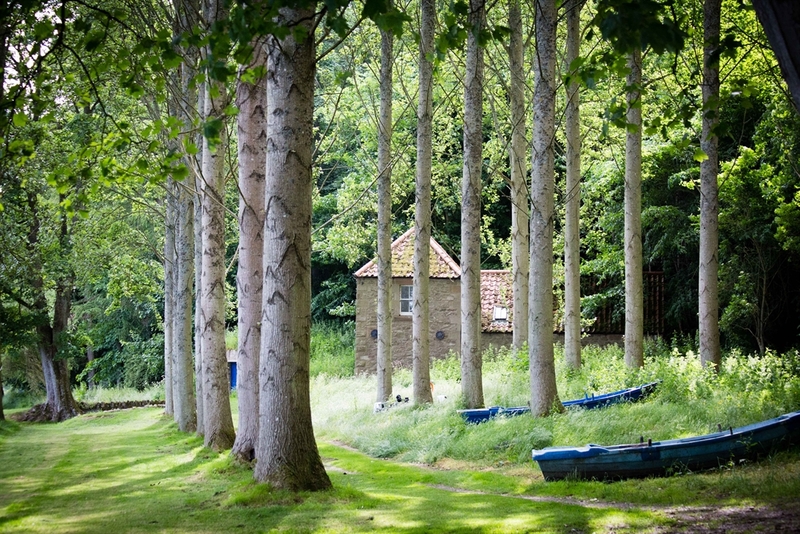 Guests can enjoy access to the 80 acre estate including beautiful riverside walks and adventure play park. With a shop and tearoom on site it is the perfect way to spend a holiday away. Our guided house tour has been described as one of the best you will find in a country house in Scotland and be prepared to be dazzled by an exquisite collection of Chippendale and Trotter furniture. The grand finale of the tour is the Picture Gallery, the largest built for a private home in Scotland. You’ll find a host of outstanding and varied works of art with a real wow factor. Paxton House itself is family friendly, fun and packed full of treasures. 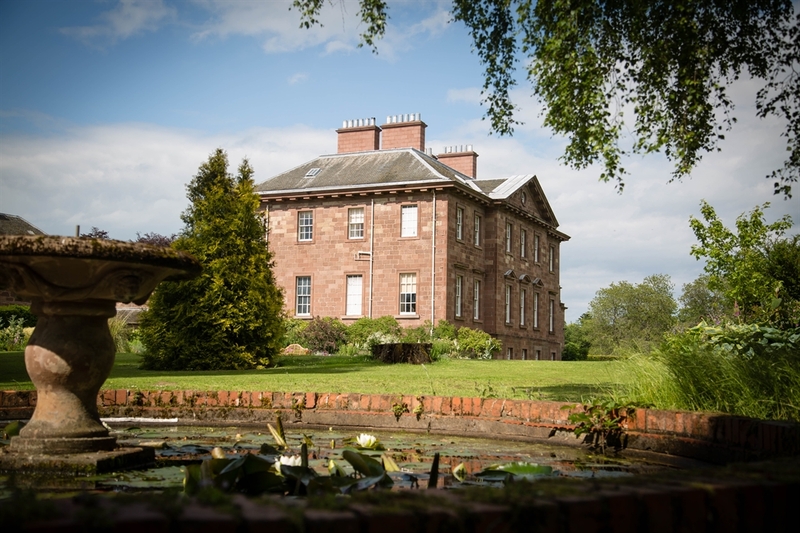 From the amazing collections and grandeur of the house itself, to the beautiful riverside walks, adventure playpark and family friendly trails, there’s something for all ages to enjoy. Our guided house tour has been described as one of the best you will find in a country house in Scotland and be prepared to be dazzled by an exquisite collection of Chippendale and Trotter furniture. The grand finale of the tour is the Picture Gallery, the largest built for a private home in Scotland. You’ll find a host of outstanding and varied works of art with a real wow factor. We are extremely proud of our partnership with National Galleries Scotland. The walled kitchen garden at Paxton House is the ideal site for a caravan park. This historic location caravan park is the perfect place to learn more about the history of Paxton House and its grounds and gardens. The history of the garden dates back to August 1761 when construction began. Until the early 18th century kitchen gardens were usually situated close to the old kitchen for obvious reasons, however, by the time Paxton House was being built new ideas were coming in that favoured formal gardens and elegant lawns close to the houses and walled kitchen gardens were hidden out of sight. In August 1761 two labourers set to work breaking the ground and levelling a staggering 2 acres of rough pasture all with only the use of hand tools. This incredible task took just 11 days! By June 1762 the ten feet high walls were completed, with the south facing walls, for growing fruit specifically, lined in locally fired brick. This brick absorbs the heat of the day which is then slowly released overnight warming the fruit trees. Later on the Paxton Kitchen Garden even had a ‘hot wall’ with a series of fireplaces and flues with the wall literally being heated by fires that were kept burning if there was frost in the air. You can still see the location of the old fireplace on the outside wall of the garden with the chimney above. On the south facing walls you can see where the hothouses and conservatory once stood, with the boiler once on the other side of the wall. Still very much use up until the 1960s the conservatory once produced magnificent blooms for the house, with produce from other glasshouses being sold weekly at the local Berwick market.